We recently wrote about the many existing venues, activities, and materials designed to encourage public dialogue and informed discussion about animal research. Many individuals, institutions, and organizations contribute to public outreach and education efforts, and also take active roles in dialogue about continuing changes in practice and policy concerning animal welfare and the conduct of animal research. This post is the second in a series hosted by Speaking of Research to highlight a wide range of individuals and groups devoted to consideration of animal research. I remember interviewing for my first job in an animal research facility. I didn’t know what to expect. Like many people, I had weird images in my mind and wondered what I would encounter. Would there be crazy experiments going on? Would the people be caring? What was I getting myself into? The interview process was detailed. I was asked a comprehensive series of questions relating to my behavior, values, and animal care experiences. It was clear the facility where I was applying to work placed a great deal of importance on the hiring process, even for an entry level position providing basic animal care. During my training period, there was so much information to digest and memorize! It seemed like everything we did had a standardized process to ensure we were exceeding animal care regulations and standards. The people I met were diverse, but they all had one thing in common: they deeply cared for the animals involved in the research projects. They connected the importance of what they did to the success of the research study. Since then, I’ve had many roles in the animal research community. In those roles, I realized it was important for me to dedicate my time and energy to educating the public about the importance of quality laboratory animal care and research. This was often just a result of talking with people I met about what I did for a living. It was clear to me that many people really didn’t know what happened in a research facility, just like I didn’t when I started. After getting involved with the American Association for Laboratory Animal Science (AALAS), I eventually joined the AALAS Foundation Board of Directors. The board oversees, develops, and implements projects to help the general public understand that laboratory animal science professionals care for animals, so progress can occur for both animals and people. The Foundation has approached this goal from multiple directions. There are websites, like Kids4Research.org, that provide information for teachers and students about the care and study of animals in research. 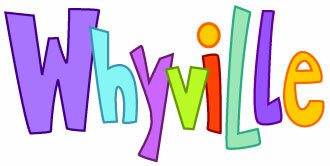 We have a series of games in the virtual community of Whyville where students care for animals. Both of these ventures are aimed at connecting with schools so students, teachers, and parents get an in-depth look at the concerns, the solutions, and the professionalism that goes into working with animals. We also annually conduct the Animal Research Education and Awareness program, an enlightening and entertaining event that introduces science students to laboratory animal science and the vast array of career opportunities in laboratory animal science. The program model has been expanded so that individuals or institutions can create and conduct their own version of the AREA Program in their communities. These efforts have been successful, as the resources produced by the AALAS Foundation and other research advocacy organizations positively influence public perceptions about animal research. We all know that, on some level, work involving animals has resulted in numerous cures and breakthroughs benefiting people and animals. What most people don’t know is that providing the best care environment for these animals, including access to 24/7 veterinary care, is the basic building block for these success stories. The AALAS Foundation is leading efforts to adopt a new approach to increasing awareness about the caring, compassionate, and extensive training that is involved in our profession. A public awareness campaign is being developed to connect the importance of the care we provide laboratory animals to the medicines and medical procedures that have bettered our lives. The video portion of the campaign will focus on the people who care for laboratory animals and their passion for making sure animals are treated in a respectful, responsible way. This will help the public understand that care, compassion, and commitment are very much a part of animal research. The campaign will also highlight how people who work in animal research are motivated for a variety of reasons. For me, my mother died from breast cancer. It was hard to watch the strong woman I knew slowly succumb to this horrific disease. Luckily for us, she was able to receive treatments for the cancer. It gave her more quality time. She got to see her granddaughter. My mother benefited from treatments initially developed with animals. Although she eventually lost her battle with cancer, she participated in some early human clinical trials with a breast cancer treatment that is widely used today. In supporting research involving animals, it’s possible that I will assist in helping a scientist discover the cure for devastating diseases like breast cancer. In addition to my work, sharing my story with the public is another way to ensure that responsible research moves forward. You, too, can contribute to the public’s understanding by getting involved with the many advocacy organizations that promote the responsible care and study of animals needed in research. Whether you’re a research professional seeking public outreach materials, a student writing a paper on animal research, or a teacher seeking educational resources, the AALAS Foundation has a wealth of outreach materials you can order from the AALAS bookstore for free. With your help, the AALAS Foundation and our research advocacy partners can continue to produce and distribute powerful public outreach resources that educate students, teachers, and the public at large about the importance of quality laboratory animal research. And we can continue to share the stories of caring, compassionate research professionals who are working every day to advance human and animal health. Steve is a member of the AALAS Foundation Board of Directors. He currently serves as IACUC Administrator for Oregon State University. To learn more about the AALAS Foundation’s public outreach efforts, please visit the AALAS Foundation Public Outreach Page and the AALAS Bookstore. Posted on June 18, 2012 October 15, 2012 by EditorPosted in News, Outreach NewsTagged AALAS Foundation, advocacy, American Association for Laboratory Animal Science, animal research, animal testing, education, outreach, Stephen Durkee.